Algaculture or algae farming, like any form of agriculture, is highly sensitive to fertilizer costs. A major roadblock to commercial algae farming is efficient utilization of volatile nutrients, specifically ammonia and carbon dioxide (CO2), to feed the algae being farmed. Currently, society produces large quantities of waste streams in the air and water that are not being efficiently treated or not treated at all. 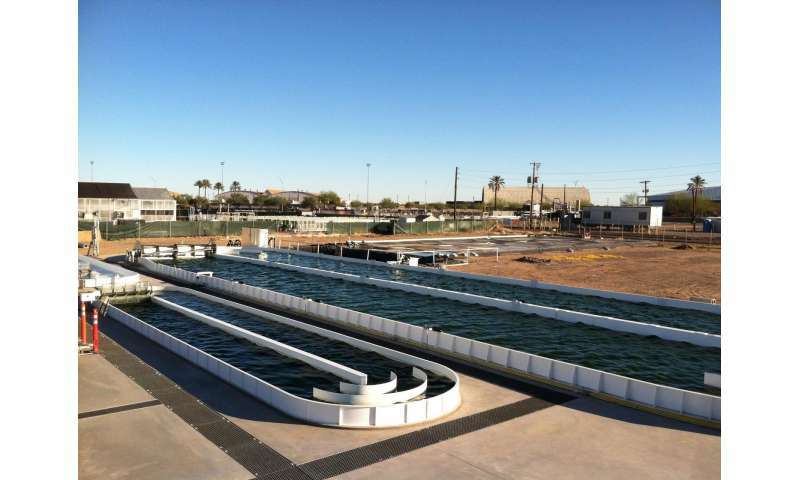 This includes multiple agricultural and industrial waste streams that can provide nutrients for large-scale algal cultivation rather than contaminating surface and ground waters or the air. However, new methods need to be developed for using these waste streams to remove uncertainty in the yield and cost of production of algae for biofuels and feed/food. This article focuses on approaches to improve ammonia and carbon dioxide utilization in algal cultivation practices to reduce loss of valuable nutrients through the process of volatilization. Efficient nutrient utilization and recycling is necessary to minimize fertilizer input costs and to prevent air and water pollution. In algal systems, another major concern is pH of the water being used in the system. This is due to the unique water chemistry required for the carbonate system in the presence of ammonium in wastewaters. Dissolved inorganic carbon (DIC) concentrations increase in the water as pH increases improving algae growth; however, ammonia volatility and toxicity increases can inhibit algal growth. To solve this problem, algal cultivation should occur in a narrow operating range for pH that minimizes ammonia loss (pH <7.5), without eliminating DIC in the water (pH >6.35). To improve nutrient utilization efficiency for CO2, algae cultivation systems must focus on increasing surface area, partial pressure, and contact time. This is accomplished by decreasing bubble size and increasing CO2 concentration by adding CO2 -rich flue gas through membrane spargers into sumps containing greater water depths. Minimizing ammonia volatility can be accomplished by dosing ammonia in algae cultivation systems at a rate that prevents excess ammonia from accumulating in the water and escaping into the environment. These approaches allow for efficient utilization of volatile waste nutrients for growing a new crop (algae) that can provide energy and feed for the future.